My last smoke of the night/morning is Three Friars in a 1979 brown grain etched Charatan's Make medium bend Dublin 483DC. SG Golden Glow in Barling canadian, a beautiul match! 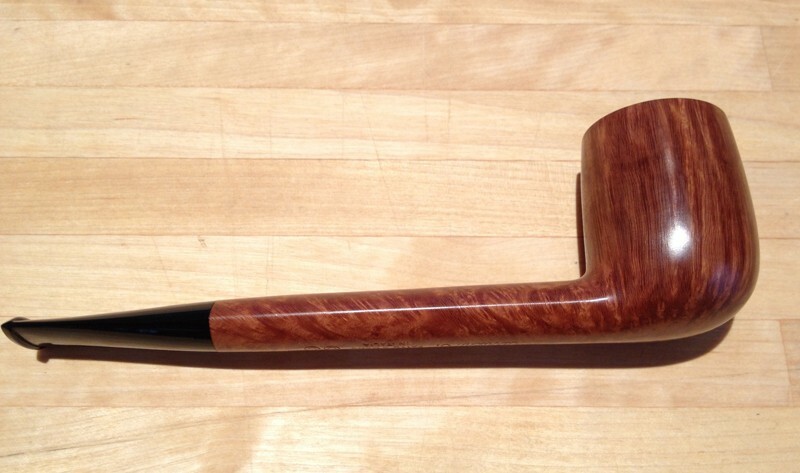 Half&Half in a MM Diplomat cob. Habana Daydream in a straight Peterson canted egg. This was my first taste of this fine blend and I rate it right up their with one of my favorites, Key Largo. Angler's Dream, in a Grabow Royalton Bent Bulldog. Since I was here last, I smoked Dorchester in a slight bent late 1970's Caminetto 103 Business KS, followed by Dark Bird's Eye in an old Barling straight Exel 249 Fossil T.V.F. Now smoking Dark Flake Unscented in a smooth briar calabash shape 1984 Fero Danese made in Italy. Union square in a MM Washinton. I think later some McBarren Black Ambrosia in a Meer. Gonna have some more Royal Yacht to end the day after dinner. 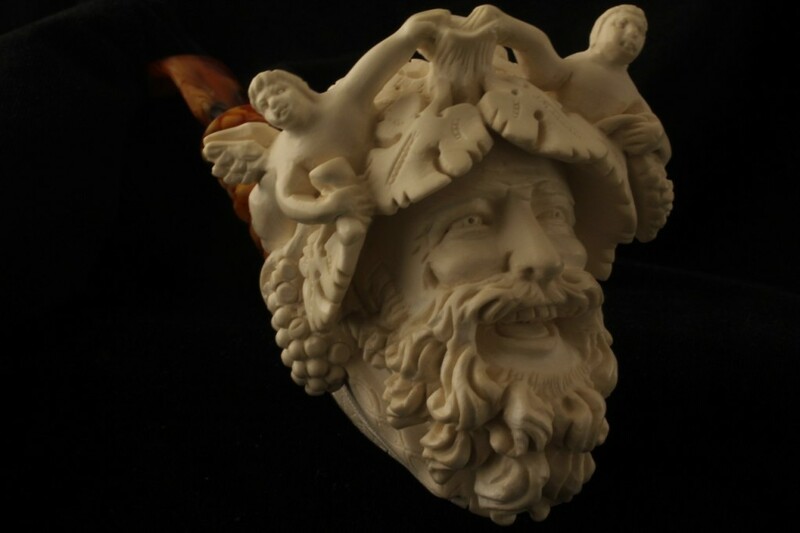 Will have it in my new Bacchus head carved Meer as I did last night. It just SINGS in a meer ! Onyx in a medium bent meer with a lined and etched egg shaped bowl. Union Square / "Made in Denmark" short-stemmed Canadian with a LL re-stem. Nording Retriever in a Nording 2008 Hunters pipe. Lancers Slices in a Irwin's Billiard. The beers are done. Going to work on this bottle of vodka. When the vodka runs out I'll be working on this bottle of Cuervo Especial Silver..... I hate Tequila..... But one must do what one must do. Old lady went out tonight with her bro. I'm home with the kid.